This handmade fine-crafts necklace would be right at home in a gallery gift shop. 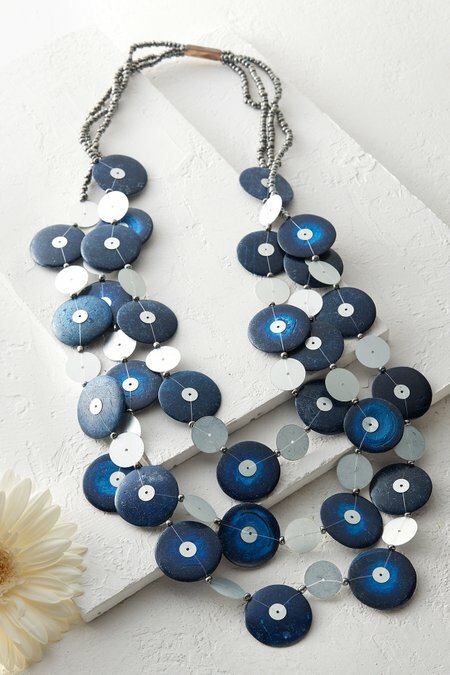 Silver metallic discs complement navy wood beads that seem to float from glass seed-bead strands. Sophisticated with a dose of fun.